Benedict Rogers is co-founder and Chair of Hong Kong Watch. 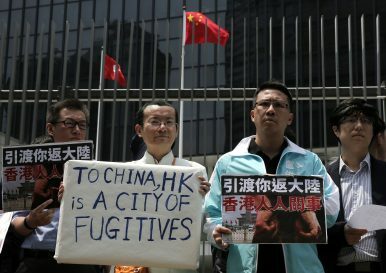 In Hong Kong, the law is being used to intimidate opponents, disqualify lawmakers, and limit freedom of expression. Why Do Hong Kong Football Fans Boo the Chinese National Anthem?Human Rights Under Siege in Hong KongRemembering Tiananmen in Hong KongChina Celebrates 27th Anniversary of Hong Kong Basic Law With Threats‘Today’s Hong Kong, Tomorrow’s Taiwan?’ Nope, the Other Way Around.